We were honored to be invited amongst a select few throughout the islands to attend the inaugural ride of the brand spanking new ‘Island Rhythms’ tour. 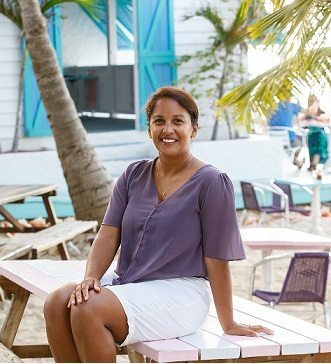 The new land based tour service is being introduced to the Providenciales tourism market this fall by our friends at FOTTAC (guests that book with us love the free rum cake that they get from the store – you’vegot to try it if you haven’t already!). 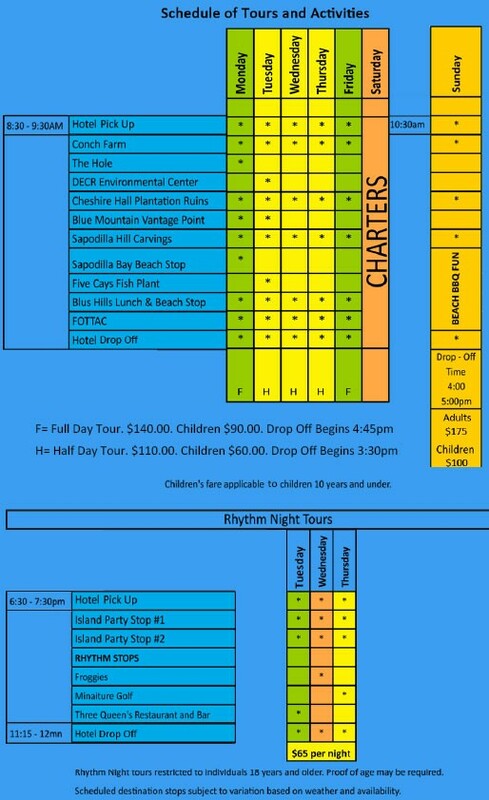 There’s certainly a lot of options for water based activities here in Providenciales, in fact there’s just about anything that you can dream up … sailing, wind-surfing, kayaking, snuba, scuba, kite-boarding and lots more; so when we heard about this land based tour that takes you around the island, is relatively inexpensive, stops at the major hot spots, and offers a fun, music-filled atmosphere with lively hosts (or as they call themselves ‘ambassadors’ which is quitefitting), we couldn’t pass up the opportunity. Dulga and I got our photo opps at the beginning of the tour when guests were still arriving, and off we went on the very green bus called the ‘Jumbie bus‘ (the word Jumbie is a type of mythological spirit in the folklore of Caribbean countries). The Jumbie bus is quite simple, but very effective for the purpose of the tour, is has lots of EXTREMELY comfortable seating, seat-belts for every seat, lots of padding and cushioning around, an easy-to-climb ladder to board and de-board at the different stops, a large TV screen in front, and some pretty powerful speakers that plays the lively Turks island rhythm music during the tour. The ambassadors did a fantastic job of keeping guests informed and entertained by giving us a taste of some island trivia, talking about their personal backgrounds and which of the TCI islands they were all from, and all very friendly and hospitable. Lots of smiling faces were all around. 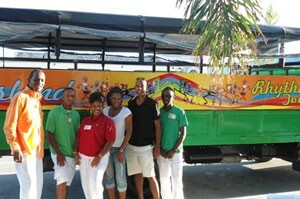 The Jumbie bus stops at Providenciales’ major hot spots including places like Cheshire Hall (a 200 year-old ruins of a former cotton plantation), Conch Shack in Blue Hills (eat conch taken fresh from the water and taken right to the pot), Chalksound National Park (see neon blue water), and much more including a stop at the Grace Bay based FOTTAC (where you can sample some of that yummy Bambarra Rum cake I just mentioned or choose from a wide variety of very nice souvenirs). A slew of different tours are offered including a very entertaining night bus tour (now there’s an idea!) that will go to places like the Miniature Golf Course for some drinks and maybe a bit of island karaoke (hey, you’re on vacation!). Dulga and I were very impressed with this new operation and are excited to book our first guests on it, so be sure to ask us about getting your tickets! 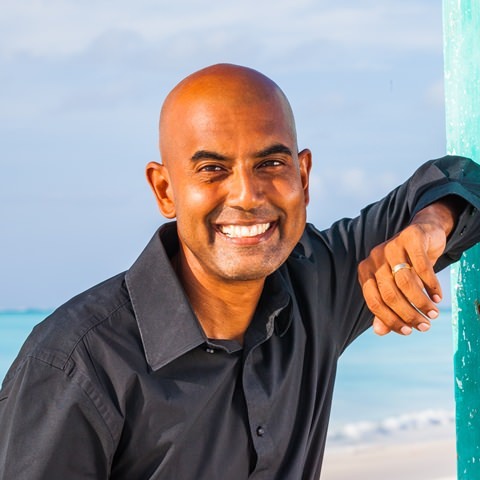 Got some more great information and details to share on this brand new wonderful tour and island experience that is now in full swing and available for bookings! 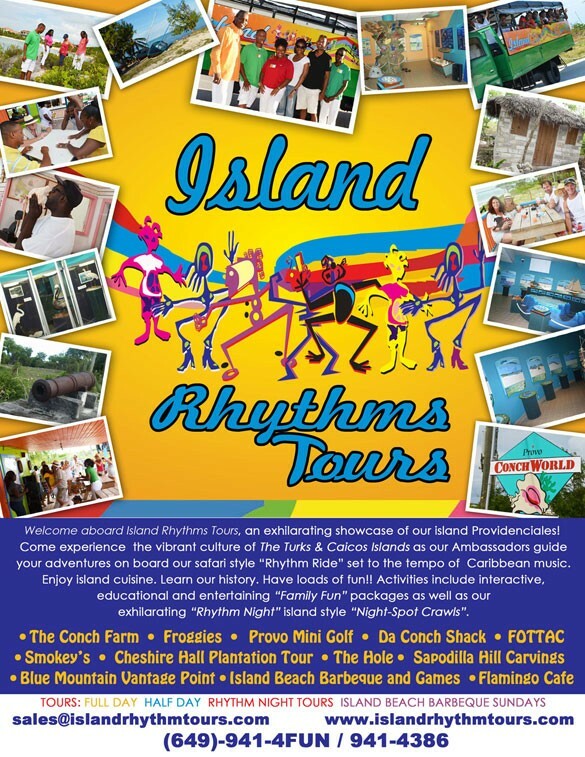 Operating with the mantra “Inform, Involve, Inspire,” the company provide tours that educate visitors on the proud traditions and customs of the Turks and Caicos Islands. Their team of highly trained, highly skilled, Ambassadors guide the adventures on board the Rhythm Ride with the sounds of the Caribbean. Activities while educational and entertaining are also interactive, allowing for an authentic cultural immersion. 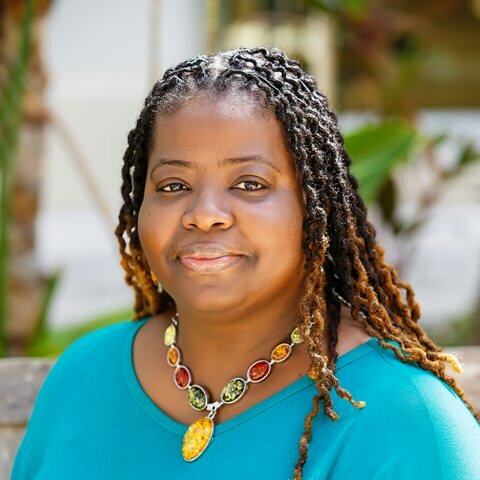 The principals of this enterprise are Turks and Caicos Islanders with an impressive repertoire of civic, business and humanitarian interests that they administrate throughout the vibrant community. They are hopeful that the introduction of this premiere ground sightseeing service will inspire contemporaries to develop “spots” to be featured in their notable catalogue of venues that pay tribute to the islanders’ distinguished heritage.